Australian Championship winning race team, COMPKART, is seeking drivers to join its 2018 roster for the Australian Kart Championship and Rotax Pro Tour National Series. This year COMPKART Australia won the Number 1 Green Plate in X30 Australian Championship with Joshua Car – who was also Runner Up in the Australian TaG Championship; the Rotax Heavy Series with Kris Walton - who doubled up with second in the Rotax DD2 Masters Series; Harrison Hoey won a round of Junior Max and finished the Series second overall. - Full service Arrive and Drive Package - turnkey package where Velocity Kart Shop manages the process for you and provides mechanic, tent space, kart, engine, tools, technical and data support. These options are also available for NSW State Championship, Regional Series and local racing - some of which is through dealers. The COMPKART chassis - led by the Covert and Ranger 28 models – are manufactured in Italy by J3 Competition USA and have been growing in presence around the world since launching in 2015. Senior racing in TaG-style categories including KA3, TaG 125, X30, Rotax, Rotax DD2, are the focus for the National Championships at the older level and COMPKART is looking for senior drivers to race in these categories. Velocity Kart Shop owner and Team Manager, Matt Macken, is excited to build on the winning platform established this year. “In 2018, we’re looking to expand our team especially at the National Level and we invite those looking for good results and something fresh and exciting to come see us at Eastern Creek and test the COMPKART out for themselves. “While we are focused as a race team on the National level, having a COMPKART presence in club-level, regional series and state-based karting through our dealer network is extremely important to us. 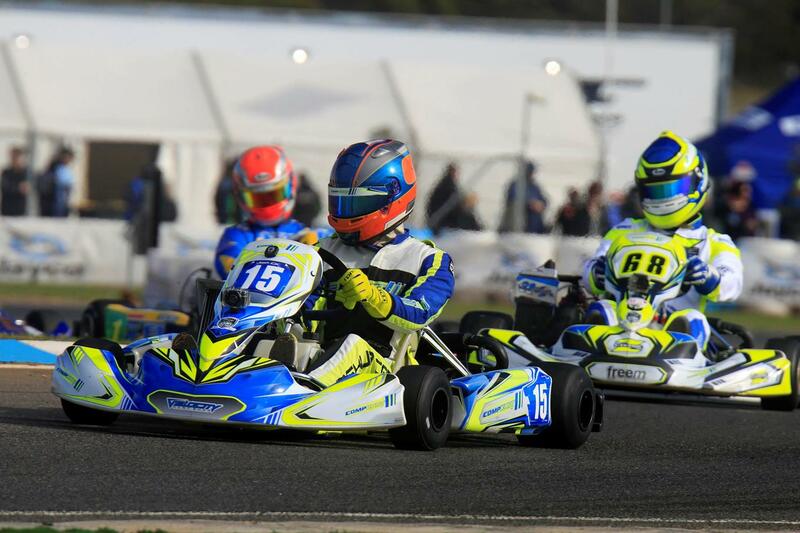 In addition to Josh Car and Kris Walton’s National Championship wins, COMPKART has taken victory in the UK’s SuperONE X30 Junior Series, the DD2 and DD2 Masters Series in Ecuador and the X30 Pro WKA Grand National in the USA. More information about Velocity Kart Shop and COMPKART Australia can be found at www.compkart.com.au or by calling the Team on mobile 0488 GOKART (0488 465 278). A full list of COMPKART Dealers around Australia is available at https://www.compkart.com.au/dealers.html.